If you’ve ever examined how great players such as Messi or Cristiano Ronaldo behave in the field, you could’ve noticed that not only do they play great soccer but also have a certain champion attitude. Being a world-class player doesn’t only require an outstanding set of physical skills, it also requires a winning mindset. In case you’re determined to pursue a career in sports, you need to be ready to do your best and go a step further than the majority of your teammates. You need to pay close attention to your mental preparedness and build up your confidence. 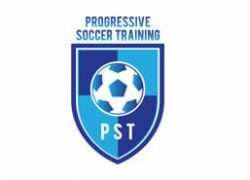 Fortunately for all serious soccer players, coach Dylan Tooby from Progressive Soccer Training has introduced a special program called Total Soccer Confidence. It can help you think like a winner. For more details, continue reading our comprehensive Total Soccer Confidence review. Have you ever been in a situation where you knew what you should do to score a goal but weren’t able to actually do it? If your answer is yes, this means that you’re a creative player without enough confidence to turn your ideas into reality in the field. 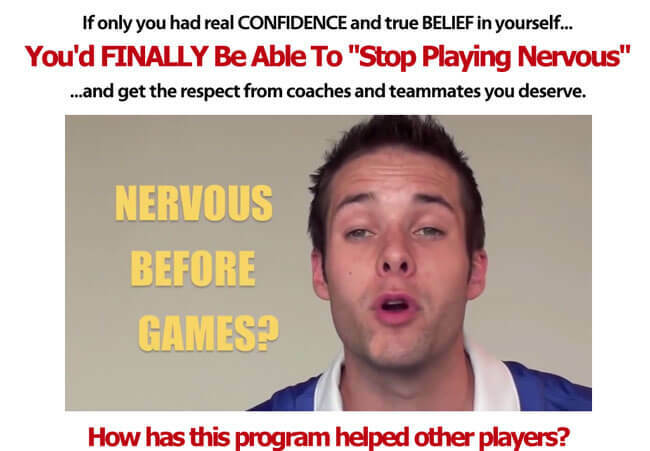 Coach Dylan Tooby has seen numerous players who’ve had the same problem and has developed a revolutionary program named Total Soccer Confidence to help players overcome this obstacle. Total Soccer Confidence has already helped thousands of players boost their confidence. It’s created to fit players of all ages and soccer skill levels. Therefore, it can be equally useful for beginners and experienced players. Total Soccer Confidence is made to help you with your mindset and mental preparedness for every match, practice or personal training session. It covers one of the most important sides of playing soccer – your brain. Coach Tooby’s Total Soccer Confidence program teaches you how to deal with the pressure that both winning and losing brings. Most players keep working hard on their physical skills but forget to pay any attention to mental training. This often results in a great performance in practice and poor performance in the field, during the actual game. But Total Soccer Confidence can help every player change that. It helps you learn how to act in different situations and how to make the most of your time in the field. Total Soccer Confidence can teach you to play so well that your teammates won’t ever tease you about the chances you missed, clumsy dribbling or unsuccessful tackle. It can make it much easier to gain the respect of your coach and your team. Coach Tooby has made it very easy to follow his program since it’s available online and once you pay for it, you get access to the whole material. The program is compatible with any device you have. You can choose to watch it on your computer, laptop, tablet or even on your phone. As we’ve already established in this Total Soccer Confidence review, coach Dylan Tooby offers a soccer training program appropriate for players of different skill levels and ages. What we haven’t mentioned is that this is one incredibly innovative program that can make players realize the real reason why they aren’t making progress as fast as they’d like to. Total Soccer Confidence involves 17 separate lectures that can teach you what confidence is and how it can affect your game. After you learn what confidence is and figure out why your confidence is low, coach Tooby will show you how to build it and improve your game along the way. This soccer training program can teach you numerous tricks and give you plenty of tips on how to become a better player. The 17 lectures in the program, which last about 6 hours, can help you become the most dominant player in your team. 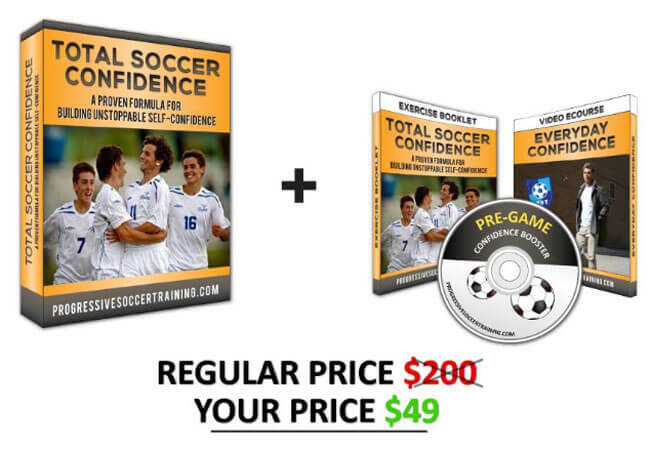 You also get 3 excellent bonus programs for free, including 30-Page Total Soccer Confidence Exercise Booklet, Everyday Confidence, and Pre-Game Confidence Booster Audio Recording. 30-Page Total Soccer Confidence Exercise Booklet features special exercises that can help you use this program to the fullest. Maybe it’s not a bad idea to read this bonus program even before you begin with Total Soccer Confidence, as it can help you understand the purpose of the program better. The second bonus is a video e-course that’s designed to teach you how to become a confident person in everyday life. Coach Tooby doesn’t share tips for building a positive attitude in the field only; on the contrary, he wants you to implement what you’ve learned in every aspect of your life and lead a happier, more fulfilled lifestyle. The third bonus can help pump up your adrenaline and motivate you to train and play harder than ever. The program can be yours for only $49. The moment your payment is accepted, you gain full access to all video and audio material included in the program, plus all 3 bonuses. 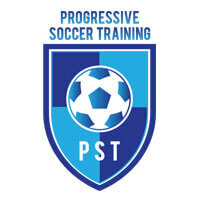 In case you’re not satisfied with the program for any reason at all, Progressive Soccer Training offers you a convenient money-back guarantee, no questions asked. If you’re working hard on your endurance and dribbling, but still aren’t seeing the results you want, you definitely need to work on your mindset too. Coach Dylan Tooby knows how hard it can be to adopt a winning attitude and play with the confidence of great players. Therefore, he has created an excellent program that can help any player gain the confidence he/she needs to become the star of his/her team. I want to buy the total soccer programme, but i didn’t understand the process please your help is needed, thank you. Helped me a lot! I’ve finally found a way to become confident and dominant in the field. Thank you, coach Tooby! Great program, really helpful. And above all, not complex at all, who would’ve thought becoming confident can be that easy! Good stuff, but I wish there was more of it, coz it’s just one program. I’ve seen and done better. Yeah, there are a few useful tips, but that’s all. Wouldn’t go through the training again.